This year’s NHS inductees pose for their formal group photos. 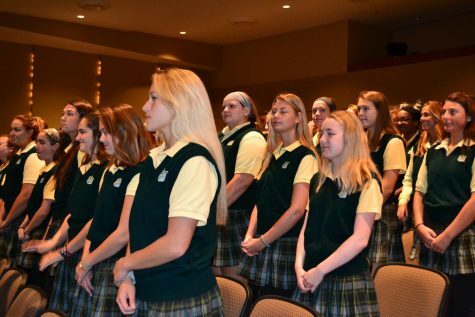 On September 10, the St. Joseph’s Academy National Honors Society welcomed its new junior and senior members with a ceremony held on-campus in the theater. 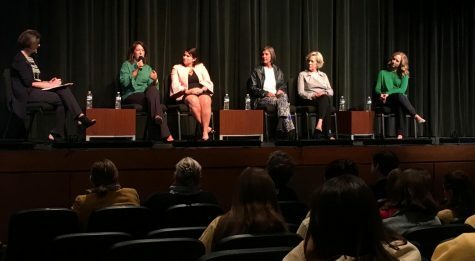 Each inductee invited their family and friends to watch the ceremony, resulting in a full theater. 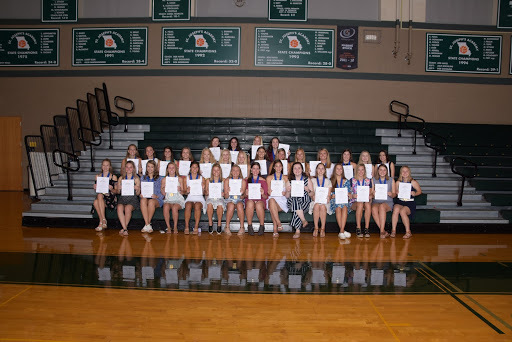 At the ceremony, the current senior members of the honors society graciously welcomed all 34 outstanding girls into their new role as members of the National Honors Society. 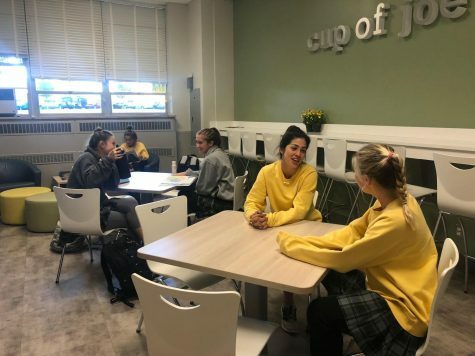 Senior Sara Kirsch expressed that she “loved that the hardworking, new members were finally inducted” and joined into the St. Joseph’s Academy branch. In order to be inducted, each student had to fill out an extensive application form last winter. The application revolves around the four pillars of the society: scholarship, leadership, service, and character. Each applicant must be actively involved in aspects of each pillar to receive acceptance into the exclusive program. 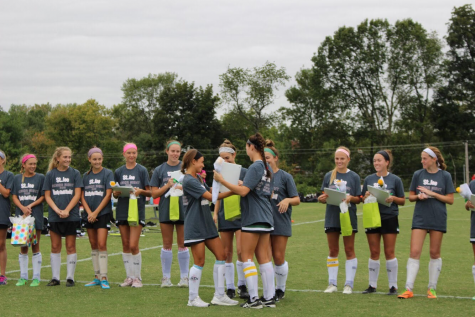 In May, girls received acceptance letters, congratulating them on their new positions. 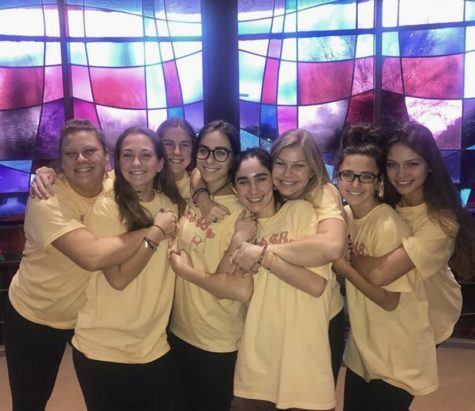 This year, there are four officers: senior Maddie Loe is President, senior Cathy DePenaloza is Vice President, junior Mallory Kimes is Treasurer, and junior Olivia Stapf is Secretary. Maddie and Cathy led the ceremony, as this is their second year of National Honors Society. Mallory and Olivia helped with ceremonial preparation. This year’s ceremony included four speeches, one for each of the four pillars. 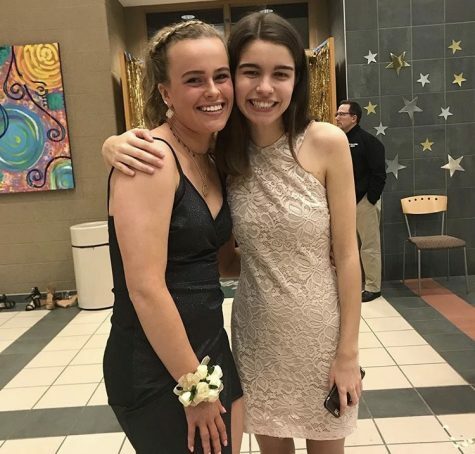 Senior Greta Seal spoke about the impact of one’s character and senior Eileen Cooney expressed the value of both loud and silent leaders. 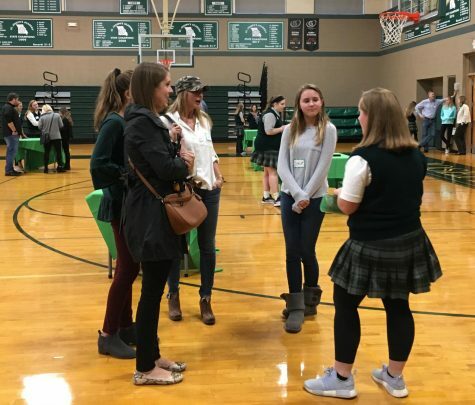 Mallory Kimes, junior, revealed the importance and prevalence of scholarship at St. Joe, and junior Annmarie Howell concluded the speeches by conveying the overall benefits of serving the dear neighbor. 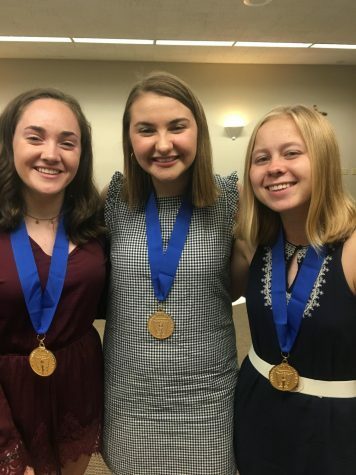 Juniors Allison Leahy, Mary Hayes and Natalie Murray show their NHS medals after their induction into the exclusive society. 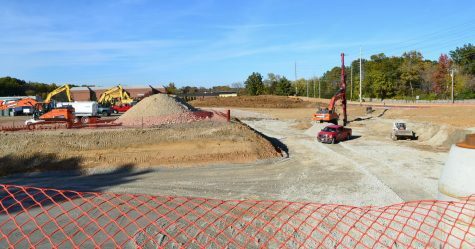 Photo courtesy of Mary Hayes. 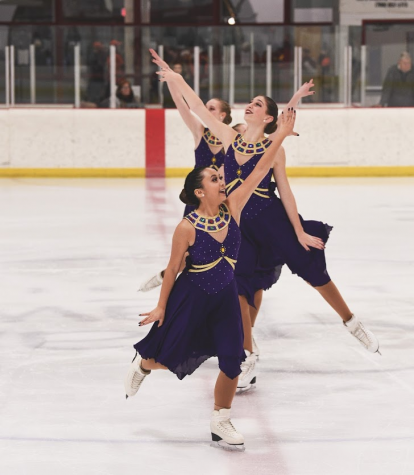 Mallory reflected on the ceremony by admitting that she feels her “talents and abilities were being recognized” at this year’s ceremony. After the speeches, each new member received a medal and certificate from Principal Jennifer Sudekum, and NHS moderator, Ms. Liz Kelley. Following the ceremony, there was a reception in the DePaul room for the inductees and their families to celebrate and take pictures.